It’s finished now (and so is the mo! 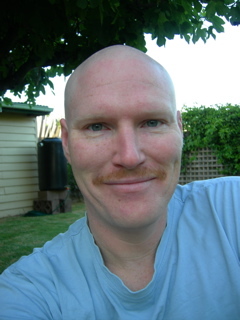 ), but I participated in Movember, to raise awareness and research funding for prostate cancer and male depression. It’s not too late to sponsor me for this good cause. I’m up to $730 $780 $790 $890 at last count – thanks especially to Werribee Nissan for their generous donation. So help me to go over the $1000! Don’t forget to use my sponsor ID of 45671. You are currently browsing the Blue weblog archives for December, 2006.